I am a day student from Putney, Vermont. I grew up swimming, hiking, skating, skiing, and spending much of my childhood outside. Before coming to NMH I went to The Grammar School, a small private day school in Putney, Vermont that focuses on project based learning. While there I was able to learn and participate in local philanthropic projects and efforts, such as volunteering at the food shelf and helping to organizing fundraisers. 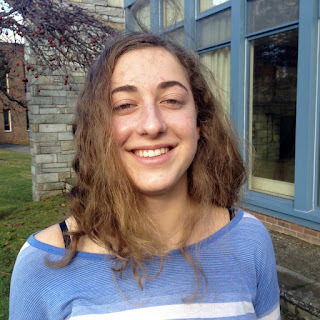 I came to NMH as a ninth grader, where I became an active member of many on campus service groups, one of which is a group that I now co-run with Abby Mihaly that cooks twice a month for a soup kitchen. I spent the summers after my freshman and sophomore years working in a farm to table restaurant where I learned about local agriculture, food quality and sustainability. The summer after my sophomore year I also travelled to Joybells orphanage in northern India where I taught English for three weeks, and which, upon returning to NMH, Jessica Yang and I have developed into a Skype tutoring program in order to connect the kids at the orphanage with students from NMH who act as both teachers and mentors to the kids. I am so grateful to NMH for providing me with opportunities to follow and develop my passions and interests, be it athletically, academically and socially. I am so excited to be a part of the Rhodes Course in Social Entrepreneurship and to be a part of a generation who has an active voice in determining the world we want to live in and is proactive about getting the job done.